MOSD can earn cash rewards with every swipe of your Kroger Plus card! Go to www.krogercommunityrewards.com to register your card and select MOSD as your charitable organization. Buy gift cards for restaurants/shopping to earn fuel points and help MOSD! For every eligible Amazon purchase you make a donation will be made to MOSD. Go to smile.amazon.com and search for Memphis Oral School for theDeaf. 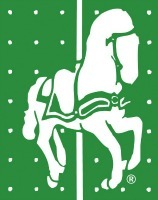 Round up your credit and debit card purchases and donate that amount to MOSD. It’s “virtual change” that has a huge impact on our school! Give the gift of sound for a lifetime! Your gift each month helps the children of MOSD learn to listen and talk. Sign-up here. Double your gift to MOSD! Many companies match gifts that employees make to charitable organization in the community. Ask your employer about their Matching Gift program and send the form along with your gift to MOSD. Make a contribution in honor of your child, grandchild or loved one; or to celebrate a special occasion such as a birthday, anniversary, graduation or holiday. To make your gift online, visit our donate page. In an effort to keep costs down, MOSD welcomes donations of items for classroom art projects, gift cards, school and other supplies. For the complete list of most needed and other items, please see our wishlist. 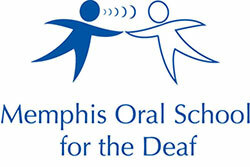 Become a permanent part of Memphis Oral School for the Deaf - literally! This is a unique opportunity to remember or honor someone special in your life or to commemorate a special occasion with an engraved bricks on the front walkway of the school. The cost is $50 for 3 line message. Order your brick. Browse our MOSD Online Store to give back to our students while you shop!